This is not your normal everyday tour where you see all the hotspots of Cape Town. Nor is it a tour where you go into just a select few townships and learn about township culture. This is a tour that commemorates the Capetonians who fought in the struggle against apartheid, and died in Apartheid crimes on events such as Trojan Horse and Gugulethu Seven.. Many struggle fighters and ordinary people died in this fight. Others saw horrific things during this era under the apartheid regime. And others who were there through it all, were part of it, survived it, wants to educate South Africa and the rest of the world and tell the untold stories of a battle that killed innocent people and of how they are rebuilding their lives to make Cape Town what it was always meant to be. A Mother city. This special tour is hosted by Capetonians who were subjected to, resisted and overcame apartheid. These Umkhonto We Sizwe veterans (military wing of the ANC), former APLA (military wing PAC) fighters and community activists offer locals and tourists the chance to enter into their history and their struggle for freedom. This Journey of Remembrance brings Apartheid-history back to life through stories, sites and memories in the hearts of Cape Town’s resistors of Apartheid. 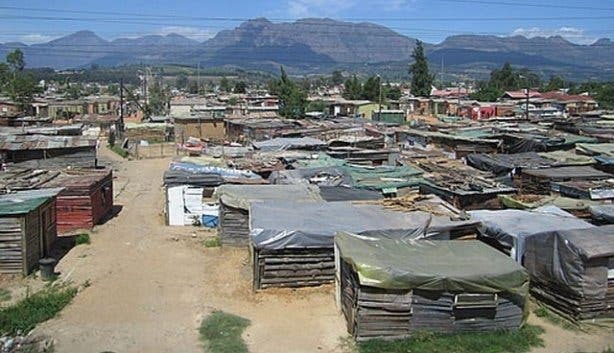 The tour will take you through town to District Six, Langa, past Phillipi, Athlone, Gugulethu, Nyanga and ends in KTC & Crossroads,, an informal settlement that survived multiple bulldozing by the Apartheid regime. The community of Crossroads managed to rebuild their community and get basic things like running water and electricity in 1994. In an old street at the proposed District Six Memorial Park you will learn that in 1901 the first forced removal took place when 6000 black people were removed from their homes and sent to Ndabeni (Xhosa for “newsy place’, or ‘place where news comes from’) and later Langa. In 1966 a second forced removal happened and all the coloured people of District Six lost their homes and were sent to the Cape Flats. Langa was built in 1927 with one entrance and one exit. Black people were forcibly moved to Langa. It was built in such a way that the police could monitor the movement of the black community. It is in Langa where the first Anti-Pass Campaign was started as thousands of people marched from Langa to the National Parliament in Town. But these ‘dom’ pass (pass for the stupid) demonstrators were ambushed on return in Langaand many people lost their lives in 1960. Gugulethu was the second black township in Cape Town and this is where seven young [Umkhonto We Sizwe] men were killed brutally by security forces of the Apartheid regime. Your tour guide will tell you the story in the shade of one of South Africa’s most incredible stories, and it will definitely stay in your heart for a long time, and give even more credit to where SA has come, or what it has overcome. The stories you hear on this route are stories that you will not easily find with any other tour guides. The fact that you’re experiencing this tour with people that were there first had, gives it a serious note, and it makes it very special. It is a tour to tell people the untold stories of the struggle against Apartheid by people who experienced it first hand. While in Gugulethu listening to the story of one of the tour guides who actually saw one of the seven men killed on the fatal day (today known as Gugulethu Seven), it was interesting to see a different ‘township tour’ coming past, with people just getting out, taking pictures and leaving. We were lucky enough to learn about and sit in the shade of –what we later discovered is probably - one of the most significant trees in South Africa. Conclusion of our review: “One of the most special tours in Cape Town; a 'must do tour' for people with an interest in Apartheid days in Cape Town." Tours must have a minimum of 2 people. Half Day: R300 per person (excluding lunch). Full Day: R550 per person (including lunch). Overnight: Subject to programme requirements (minimum 3 people). Subscribe to our Editor’s Picks Newsletter for more information on special Township Tours and accommodation in Townships.